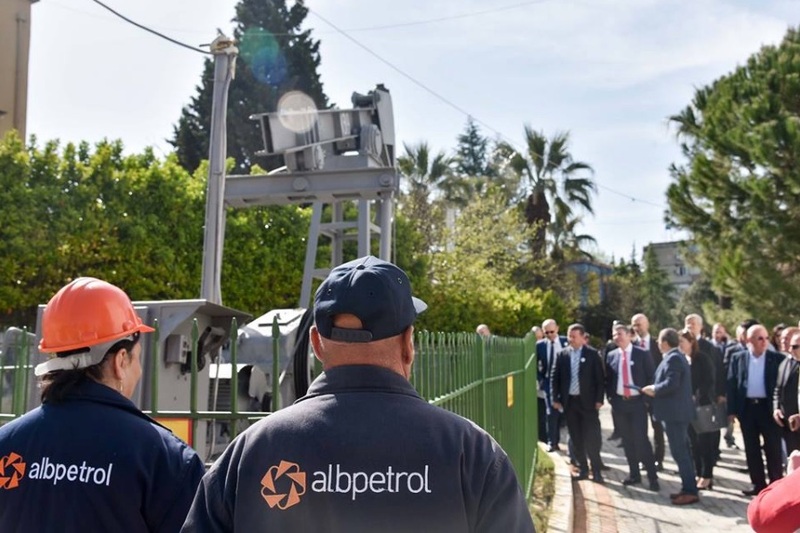 Government officials and Albpetrol employees commemorate the 100th anniversary of Albania's oil industry on April 11 at Drashovica. Jon Harris knows the London investment crowd. Pennine Petroleum Corporation’s leadership knows the eastern European oil and gas regulatory climate. Together, they aim to create energy prosperity in Albania. London-based Harris, named April 9 to Pennine’s (TSX-V: PNN) board as a Non-Executive Director, has served identical roles for multiple AIM- and TSX-listed companies during his 30-year international management career. He’s also led two AIM listings on the London Stock Exchange for clients in the past decade. “The London theatre is currently interested in energy investments in eastern Europe, including the Balkans, and North Africa,” notes N. Desmond Smith, Pennine’s Chief Executive Officer. Pennine’s current leadership has a wealth of industry experience—geological and geophysical exploration, reservoir and extraction engineering, production, refining—in the former Soviet-bloc countries of eastern Europe. The arrival of Mr. Harris, and his London network, adds considerably to that advantage. Pennine finalized a Production Sharing Agreement (PSA) for Albania’s Velca Block in November 2017 as part of a joint venture with Albpetrol Sh.A, Albania’s national oil company. One of Mr. Harris’s previous Non-Executive Directorships was with Calgary-based Bankers Petroleum Ltd. (TSX/AIM: BNK), which accounted for nearly 6 percent of Albania’s Gross Domestic Product in 2014. Bankers pioneered production of Albania’s vast Patos-Marinza heavy oil fields, the largest onshore oil fields in Europe. “Having been involved with Bankers Petroleum in Albania (as a Non-Executive Director from 2004 through 2016), I’m keen to see whether their success can be replicated by Pennine,” says Mr. Harris, who also chaired Bankers’ corporate governance committee and served on its audit and compensation committees. “Much of Bankers’ success came through applying modern technology—horizontal drilling, for example—to maximize recovery from known deposits,” he adds.